Are you a PC user who just wishes that they didn’t have to use the standard Windows desktop and would much prefer something, say, like an iPad? No, probably not, but if you were, then PaperPlane Smart Launch would be just what you would need. 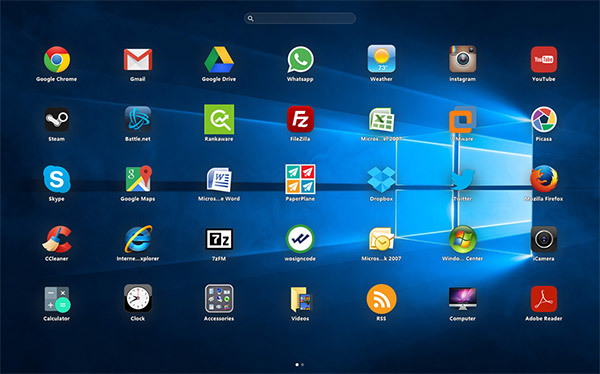 Free to download and compatible with Windows XP all the way up to Windows 10, PaperPlane Smart Launch replaces the standard Windows desktop with an iPad-like interface which is designed to do away with any clutter and simply show you the apps you have installed. The resemblance to an iPad, or iOS interface is certainly an obvious one, that’s for sure. It also closely resembles Mac OS X’s Launchpad, not that anyone actually uses it! With PaperPlane Smart Launch installed, users will have quick access to all the things they need to use on a daily basis, without having to wade through Windows and its desktop in order to get to them. 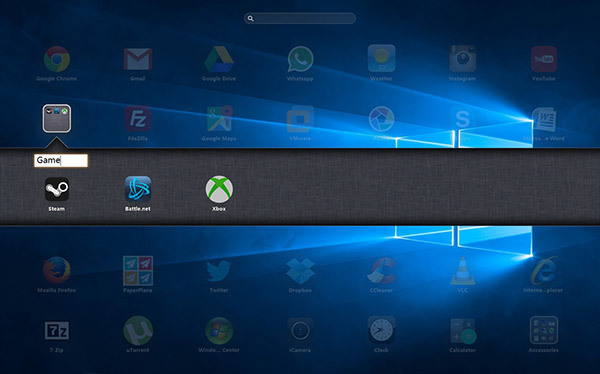 Yes, that’s what Windows 8’s Modern interface was supposed to do, but this looks like an iPad. So there’s that. Upon installation PaperPlane Smart Launch will scan and list your installed apps by frequency of use and this sequence will change depending on how often you open these apps. Or if you want to organize the apps, files, URLs, games yourself, simply disable this feature and drag the icons to the position you want. The app also lets you quickly create new desktops by double-clicking an empty space, and is fully customizable, from layout to appearance. The important thing to remember here is that PaperPlane Smart Launch is free to download and use, so even if you think this might be a good fit but want to give it a try first, then you can do exactly that with no buyer’s remorse if it turns out to not be your cup of tea. With nothing to lose, why not give it a try? PaperPlane Smart Launch for Windows can be downloaded from itigic.com.